Texas Tech has shown no signs of an active defense today against Sam Houston State, but they sure do know how to rack up the points scoring 42 in the first half. 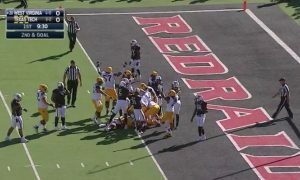 Jakeem Grant displayed what could be the return of the week in the second quarter following a Sam Houston State field goal that made the game 21-17. 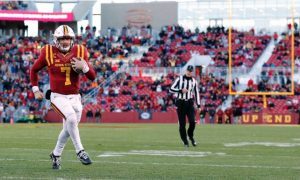 Grant responded with some nifty moves and showed his speed for a 94 yard touchdown. 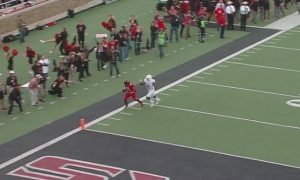 The Red Raiders wide receiver has also racked up yards in the air, catching four passes for 50 yards.